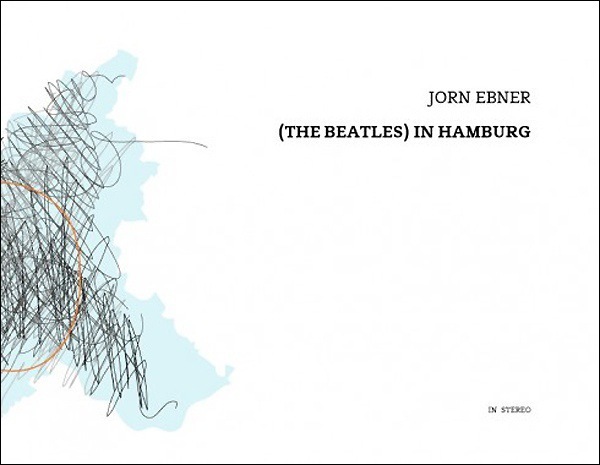 (The Beatles) in Hamburg is a sound art project comprised of 11 compositions and several visual elements. The sound material was recorded in the urban space of Hamburg, in areas where The Beatles stayed in the early 1960s before they had became famous: in streets like Johannis Bollwerk, Kirchenallee, Eimsbütteler Straße, Collonaden, Wohlwillstraße, Große Freiheit, Alter Postweg, Brodersweg, Inselstraße, at a fair on Heiligengeistfeld, and in the habour. From the raw field recordings Ebner isolated sound elements and stitched them together into new audio works. With one composition per area, this created an acoustic portrait of the city at the beginning of the 21st century. From those compositions, Ebner developed 11 graphic scores — drawings of the sound works — that are presented in this publication, and that are visualisations of the audio works on the one hand, but that are intended as possible notations for experimental musicians or conductors on the other, spawning new musical works.